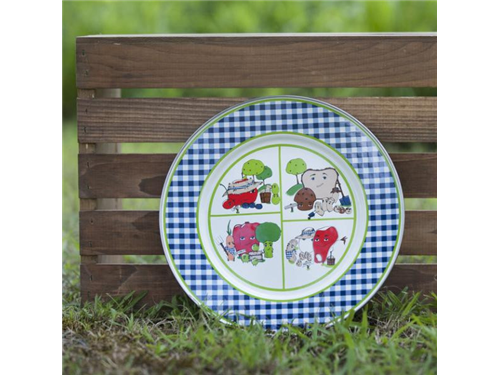 Farm Fresh Kids Plate. 10” enamel-on-steel plate features four farm fresh appropriately portioned sections, reflecting the updated USDA guidelines. Dishwasher safe. Plastic free. BPA, melamine and phthalate-free. Open stock, UPC-coded.